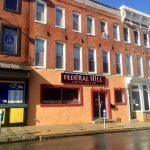 Fornicolli’s opened last week at the former Federal Hill Carryout at 1538 Light St. in Federal Hill/South Baltimore. 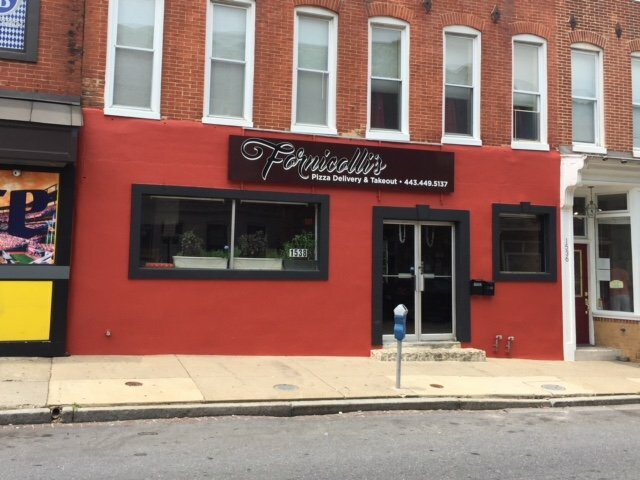 Fornicolli’s is a new pizza and Italian restaurant from Das Bier Haus owners Scott Bauer and Nathan McKinney. Das Bier Haus is located next door to Fornicolli’s. Fornicolli’s has some dine-in seating, but will focus on delivery and carryout. 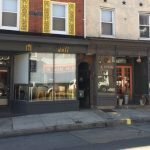 The menu includes made-to-order pizza by the slice, whole pizzas, appetizers, cheesesteaks, pastas, sandwiches, and salads. The menu is led by Chef and General Manager Mark Dunaway, who was a former chef at Regi’s American Bistro and most recently a sous chef at Das Bier Haus. 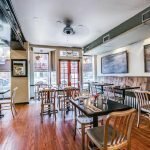 McKinney told SouthBMore.com that he and Bauer have full confidence in their kitchen staff and that Fornicolli’s is dedicated to them and their hard work. He said the menu will give them the opportunity to be creative. McKinney, however, noted that Fornicolli’s needs additional help and is currently hiring all positions. Customers will be able to choose from 20 different toppings for a slice of pizza or whole pie. Slices are made from fresh dough and ready in about six minutes. McKinney said that the team continues to work on perfecting the recipe. The menu will start out limited, but will expand based on customer feedback. Fornicolli’s is currently open at 4pm on Mondays and Tuesdays and from lunch to “late night” on Wednesday to Sunday. Fornicolli’s is still getting its feet under them, but hopes to soon be open every day from lunch though late night with set hours. The Fornicolli’s team spent the last five months renovating the space. This included rebuilding the kitchen, updating the plumbing and electric, replacing the floors, adding booth seating, and updating the exterior. McKinney said they plan to expand the dining room in the future, noting there is some extra storage space behind the current retail setup that allows for an expansion. The new kitchen at Fornicolli’s will also allow Das Bier Haus to revamp its catering business. 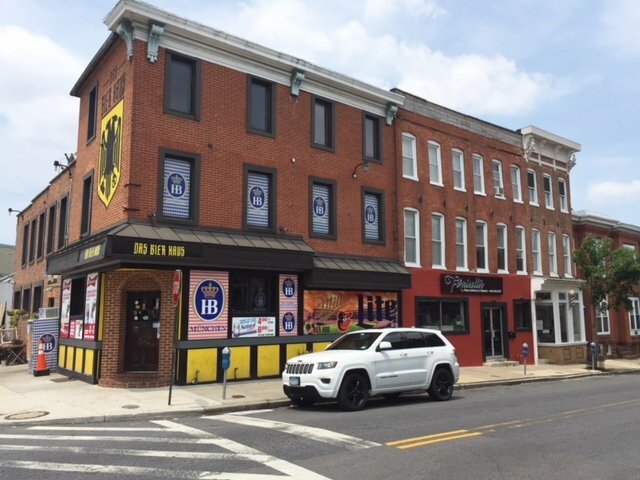 McKinney and Bauer also recently completed a renovation of the second floor that will allow for an expansion of Das Bier Haus. 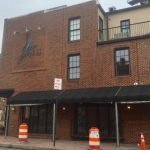 They are currently waiting on a Board of Liquor License Commissioners (BLLC) hearing to approve the expansion before opening the second floor. The space will be used for overflow dining and special events. The space includes a bar, dining tables, additional bathrooms, and televisions.